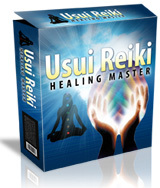 Usui Reiki Healing Master - Make Huge Passive Income As An Affiliate. That's why the above screenshots are "FULL Screenshots" which include the URL of the browser as well � A particular that many unethical vendors leave out. Additionally, below you can find 2 videos of us logging in our reports - unlike screenshots, videos are not easily edited/faked. Rest assured that 100% of the high conversion rate that we claim to have is Totally Accurate. Please note that "This Website (UsuiReikiHealingMaster.Net)" is powered by Click2Sell.eu and have the same conversions like UsuiReikiHealingMaster.Com - which is powered by ClickBank (The above Screenshots & Videos are from our ClickBank Version). "Usui Reiki Healing Master" is a digital program that teaches you how to learn to Practice Reiki from the very basics up to Reiki Master Level. New to Plimus? Follow the below simple steps and start earning huge passive income by selling "Usui Reiki Healing Master" for a 75% commission per sale. Go to the default page of your account, and Select "Usui Reiki Healing Master" which is located under "My Affiliated Products"
Send people to purchase "Usui Reiki Healing Master" through your affiliate link and Plimus will take care of the rest. They will track the sale all the way from your link to purchase. If you are into email marketing and have a list of prospects, below you can find some pre-written emails that you can use for your broadcasts (mass email to your list). Note: Be sure to customize the below email to suit your needs as well as update with your own affiliate links. Click Here to Go to the Articles Section of which you can use in your article marketing campaigns. Email Marketing - Send an email to your email list recommending "Usui Reiki Healing Master" by providing them with your affiliate link. ONLY SEND THIS TO YOUR OPTIN LIST. SPAMMING is not Allowed - ClickBank will close your account instantly if you do so. Blogs - Create a free blog at sites such as Blogger.com, WordPress.com, Squidoo.com, about "Usui Reiki Healing Master", including your affiliate link. Are you interested in promoting "Usui Reiki Healing Master" but require some kind of assistance? or want to ask some questions? No Problem!